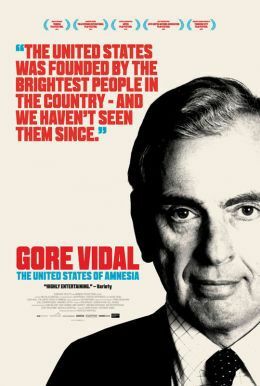 Gore Vidal: The United States of Amnesia (2013) – What's New on Netflix Canada Today! This is an unashamedly opinionated film. In Gore Vidal’s America, the political coup has already happened. The right have triumphed and the human values of the liberals have been consigned to history. But how did this happen and who organized it? In this film Gore Vidal’s acerbic, opinionated and informed approach rips away at the facade of the new America. The film dramatizes Gore’s political views and his concern at the present state of American democracy using interviews and historical footage of his famous appearances on television and talk shows over the last fifty years. In the recently filmed interviews Gore examines the course of American history and policy making and draws dramatic conclusions on the fate of the nation in the modern age.